Alaska Guided Photo tours and Photo Adventures. Join other photographers to photograph polar bears, northern lights, nature and wildlife in Alaska. Fully guided and inclusive Alaska photo tours and Adventures. Our Alaska photo tours and adventures offers many ways to improve your photography skills with the guidance of a professional photographer. These photography tours & adventures are suited for photographers of all skill levels as well as to the traveler wanting to experience something different. Alaska is world famous for its rugged beauty and breath taking scenery. The tours allows you to see the wide and long vistas Alaska is known for as well as epic locations. These amazing trips feature great photo opportunities at the best times of year with your tour guides/photographers, Albert Marquez and Scott Slone. Albert & Scott specialize in landscapes and wildlife photography. The photo tours are one-on-one and small group learning environments that allow for the utmost attention to be given to each participant. Taking your photography to the next level requires learning and understanding both the technical side of photography and just as importantly, your subject. You will learn tips and techniques and touch up on post-processing techniques using Adobe Lightroom® & Adobe Photoshop® while exploring picturesque places in Alaska! Fall color photo tour packages are designed for single or multi-day trips, which prices will vary. 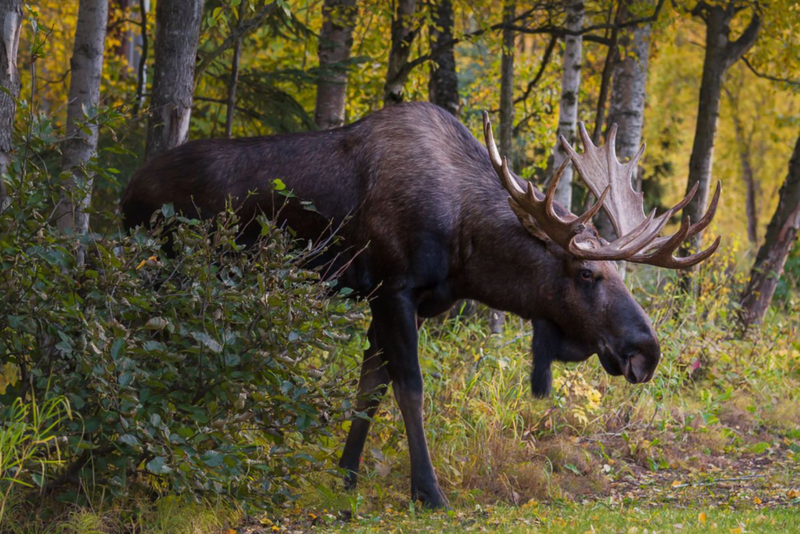 Whether you’re looking for a custom fall photo tour or taking advantage of a little extra time in Alaska, allow us to get you out to the best fall locations. Day tours are setup to offer instruction geared to the individuals participating, which means we’ll craft to your specific needs before we depart on tour. Each location on this tour will offer a wide degree of opportunity to experiment, learn and nail the shot you’re after. Experience and photograph the Copper River Delta. Located at the southeastern end of Prince William Sound, this area of our Chugach National Forest covers approximately 2.3 million acres. You will be guided to your locations by plane, boat, and van through epic landscapes and wildlife habitat. This photographic adventure takes you on a journey to explore landscapes where tidal fats meet hemlock-spruce forests, salmon rich streams, bald eagles and out into the waters of Prince William Sound where you’ll see sea otters, coastal bears, moose and much more. Travel to remote St. George Island in Alaska’s Pribilof Islands, summer breeding grounds for more than two million seabirds and almost one million fur seals. This spectacle draws naturalists and photographers from around the world. This photo tour gets you close to some of the most spectacular coast line with migratory seabirds and 1-million fur seals to breed and raise their young. Arctic fox and reindeer make up other wildlife on the island. In all there are twelve species of seabirds nesting on St.George, and among those birds are species only seen in Asia to the rare Red-legged Kittiwake. Great Photo Tour! This tour is offered only once a year. This 7-day wilderness excursion will take you 200 miles north of Anchorage, over towering mountains, alongside pristine alpine lakes and rivers and through large forests of stunted-growth trees. This tour allows you to see the wide and long vistas Alaska is known for. This amazing trip features great photo opportunities at this time of year. The spectacular fall colors framed with the white of fresh new snow peaked mountains, and the golden colors of the birch trees and ground-hugging tundra of Alaska also turns colors and produces equally brilliant yellows and reds. This tour starts and ends in Anchorage. This amazing tour also offers you an opportunity to possibly see the northern lights if conditions are right. This tour is a photographers dream because of the big vistas, you can see these colors for many, many miles! The Alaska Range and the surrounding Mountains offer the most pristine photography there is. Many Alaskan animals call it home in these mountains such as bears, wolves, moose, caribou, lynx, wolverine and many others. Winter up here can barely be described in words! All but your bears are still out and about, enjoying the winter landscape. The Aurora can be seen anytime of year, but winter is your best time to see it. A professional photographer will accompany you along on this amazing journey. Experience this pristine & remote location deep in the Alaska Range up-close & personal! We offer many photo tours in Alaska but now we are expanding our tours/workshops beyond the border! We are travel experts. We love to travel and we have many years of experience in creating and running tours. We know what makes a great tour, and we will match every person with their perfect experience. While great photography is our mission, we also ensure that our tours include a healthy amount of exploring, fun, and relaxation. Our photography tours are created by photographers, for photographers and our itineraries are designed around creating the best possible photographic opportunities. We’ll make sure to bring you to the right place, at the right time. We’re also committed to providing you with professional photographic guidance and tutorials, allowing you to develop your skills throughout the experience. Click on "Learn More" tour titles or images to view full itinerary descriptions. Over this four day photo tour and workshop we'll photograph classic mountain vistas, beautiful landscapes, flowing streams, waterfalls, historic barns and cabins, fences, pastoral scenes and perhaps even bears. We will have workshop sessions using Photoshop and Lightroom, landscape photography techniques, and wildlife photography. Discover the dynamic beauty of southern Oregon’s coastline during our fall photo adventure. This time of year offers wilder weather, great sunrises and sunsets to this coastal region of America. We’ll spend time photographing a variety of subjects from big coastal landscapes to coastal tide pools,driftwood and structures. During this workshop you’ll learn about embracing weather through the art of long exposures, and how to capture high action waves. During the evening we’ll gather to edit our images, which your guides will be available for critique and editing techniques. Planet Earth Adventures, LLC is an affiliate of Borrow Lenses. Through the link below, you can rent cameras by Canon, Nikon, Pentax, lenses and much more. Whether you're a professional, amateur, or someone just looking to try a new camera lens, camera body, or drone, you have come to the right place. We offer rentals on all types of lenses, bodies, and drones, for all your rental needs. Planet Earth Adventures accepts reservations on any photography equipment rental. Click the link below to reserve a lens, camera body, or any other equipment. We offer a damage waiver option on our equipment rentals, so you can rent with a confidence. Planet Earth Adventures prides itself on our customer service. Remember we are photography enthusiasts like yourself and know what it’s like to need the right lens for the job.